Safety | Blue Ridge Services, Inc.
Tough financial times mean tight budgets. But less of a budget doesn’t change the fact that your crew still needs to work… and still needs to know how to work safely. We know money is tight, so we continue to offer our large library of safety training materials and resources for a competitive price and in a variety of formats. In 2000, nearly 4 million American workers were injured and over 5,000 workers died as a result of work-related accidents. Safety is a big issue, especially at landfills, where the mix of heavy equipment, traffic and trash can often spell disaster for the untrained worker. 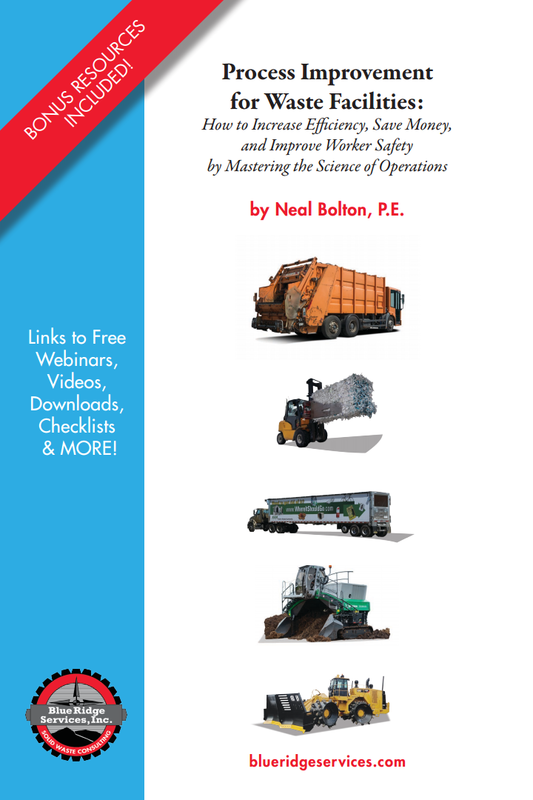 Neal Bolton, owner of Blue Ridge Services and author of the Handbook of Landfill Operations, has created the industry’s most comprehensive and practical safety training program. In addition to his nuts-and-bolts approach to landfill efficiency, safety, and operations, Neal also presents information in a practical, hands-on approach. You come away with practical information that you can apply immediately. At Blue Ridge Services, we have been finding innovative ways to bring training to you and your crew, for an affordable price. From the bestselling Handbook of Landfill Operations to our safety training video series, featuring more than 80 topics, to our comprehensive operator training programs, Blue Ridge Services has been a leader in waste facility training for more than 25 years. Our entire training library is available online. Go here to view pricing options and more details. We offer a wide range of safety training materials and resources, including safety training DVDs, PowerPoint presentations, books, and more, all sold through Amazon.com. Click here for DVDs and here for manuals. We can create a customized safety training program for your crew. Does your site have specific safety risks? No problem… we can create topics that address issues unique to your facility. Whether you are looking for a classroom course, or a hands-on field training session, we have got you covered. Contact us today to discuss your needs for safety training. With our SHERPA Docs program, we can create a site-specific health & safety plan or review your existing health & safety plan, ensure compliance with key OSHA and Industry Safety Standards, create a full range of Emergency Response Plans, and identify any areas that create a safety risk for your crew or liability risk for you. Click here to read more about SHERPA Docs. When it comes to safety, proactive beats reactive every time. Our safety audit includes a site visit, detailed summary of findings and recommendations for improving safety. Contact us today.